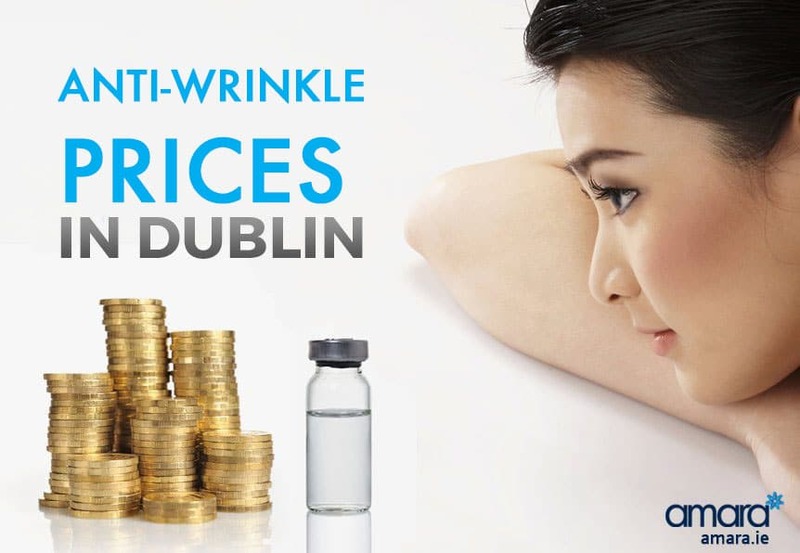 There seems to be a lot of confusion of why one Aesthetic clinic in Dublin may have different Anti Wrinkle Injection prices compared to another. Surely it’s all the same? But it’s not. There is a danger with many cheaper products and in the majority of cases you get what you pay for. In this post we’ll talk about why are there different Anti Wrinkle Injection prices in Dublin and what are the 3 main factors that cause it. Anti wrinkle injection is anti wrinkle injection, but it’s not! Like most products you have the original brand name and then the generic cheaper versions. The original licenced Anti wrinkle injection is made by Allergan (who also make Juvederm and Kybella) in Westport County Mayo. Yes it is Irish! Allergan have had the rights since 1988 and continue to research and test more uses for it. In 2010 Botulinum Toxin was approved to treat chronic migraines and is also used in hyperhidrosis treatment, muscle spasticity treatment and much much more. Many clinics may offer a generic form of anti-wrinkle injection which is cheaper to buy. Before attending a clinic it is important to find out exactly what product they are using! 2. How Do They Charge? At Amara we charge per area treated with Anti Wrinkle Injections. For example, frown Lines, worry lines and smile lines are all considered 1 area individually. Other clinics may charge per amount of toxin used. Another element in pricing is to do with how much you need and this depends entirely on you. How you have you had Anti Wrinkle Injections before? How strong are the muscles being treated? How strong is your immune system? – always of these play a factor in determining the amount of serum required. When you first visit Amara I will use a smaller dose of Anti Wrinkle Injection so I can see exactly how much you need and not overpower your muscles. There is then a free review in the next 2-4 weeks where I will top up if you need a stronger dose, this way will we know exactly how much you need. You can find out our full range of Antiwrinkle and lip filler prices here! Finally another factor when you are pricing Anti Wrinkle Injection is exactly who will be injecting it? How much experience does the doctor have? Is it in their own clinic? etc. Who is injecting you is very important – different doctors have different techniques when it comes to injecting. It is important to remember that only doctors or dentists who are qualified can administer Anti Wrinkle Injection. I have been performing injectable treatments since 2007 and continuously attend training and conferences to study new treatments and techniques. I also perform Anti Wrinkle Injection and Filler training to other physicians. Anti Wrinkle Injection Prices – Do Your Research! In conclusion before you decide to attend any clinic for Anti Wrinkle Injections do your research! 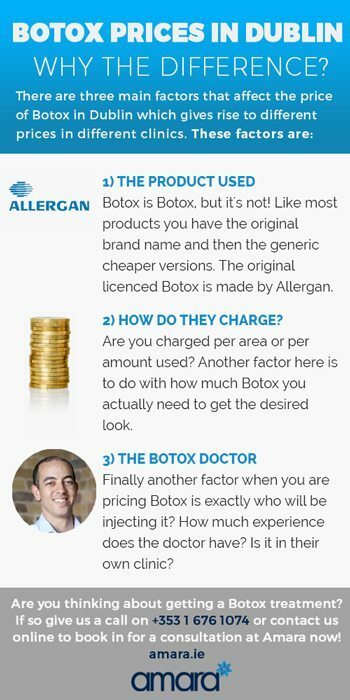 Some things you should make sure to find out are: what product is being used, how do they charge and who is doing the injecting? You should also check out some reviews online so you can be absolutely confident in who is doing your treatment. Would you like to find out more about Anti Wrinkle treatments in Dublin? If so give us a call on +353 1 676 1074 or contact us online now to find out more. What is one area? And how many injections goes into one area ? Yes Botox is effective for smokers lines and is classified as one area.With regards to the jawline Botox can be used for Bruxism and can possibly narrow the jawline. However for sculpting the jawline (if thats what you are referring to) then the Exilis Elite uses Radio Frequency to sculpt and tighten the face and jawline and can also work as a double chin treatment. Please let me know if I have answered your question! Thanks Katie for getting back to me to you did answer my question thanks. I meant to say in my previous message I’m a smoker if I continued to smoke would the botox still work ? Yes, the treatment will still work (depending on how deep the current lines are) However if you continue to smoke the lines will come back quicker as pursing your lips is what causes the actual lines. Whereas a non smoker would get much longer after the treatment as they would not purse their lips so often. Hi Katie. What about laughing lines. Wud they be considered as one area or 2??? Botox would not be suitable for this treatment as that only works to numb the muscles. ‘Bingo wings’ would typically be caused by loose skin which may be helped by Radio Frequency & exercise. For this, it would be best to book in for a consultation on your needs. Yes, Botox stops the sweat glands from producing sweat typically on the underarms or the hairline. At your consultation with doctor Paul, you can go over exactly where the sweat is the problem and he can advise whats best for you! If you would like to book in for your consultation just give us a call on 016761074. Can you do this for all skin types and colors. Do you also do under eye. Yes, all skin types and colours. Under eye, treatment is typically done with Hyaluronic Acid Filler. However, this can be discussed at your consultation depending on your needs. I have read a few articles regarding Botox as a treatment for Tinnitus. Is this something that you are familiar with? We do not offer this treatment. As far as I am aware this is not an available treatment in Ireland as there has been little tests or proven results. Is Botox a suitable treatment for a 70 year old woman?? Hi Dolores, Who is suitable for Botox really isn’t determined by age. It will all come down to your current lines and whether they are static or dynamic. I would recommend booking in for a free consultation where the doctor will examine you and be honest with you on whether Botox will work well enough for you, he may also recommend alternative treatments. To Book in just call us on 016761074 or click the contact us tab. Hi, I was wondering do you BOTOX under the eye close to the nose and botox the nose to stop bunny nose occurring? HI Lisa, Yes we do offer Bunny line treatment with Botox, for the undereye its best to discuss this with the doctor as he could tell you if Botox or filler would be suitable for the area. Typically Botox works best on dynamic fine lines rather than harsh static lines. However, this does depend on the individual we would likely recommend a course of the Rejuvapen microneedle, however, a consultation would first be needed to determine your suitability. Do you do the treatment on the ball of both feet. I’m at my whits end. I can’t ever even wear a heal for 10 mins. very sore feet. I have a daughters wedding in May. I only buy the best of shoes but can’t wear them. Can you help. We think we can help but a quick chat over the phone might be better than going into detail here. If you give the clinic a call on 01 676 1074, we’d be happy to run through your options and get you in heels for your daughter’s wedding. Can you please explain the difference between static and dynamic lines please? Dynamic lines appear when your muscles move – so when you make a facial expression like smile or frown. They are temporary and anti-wrinkle injections are used to treat them. Static lines are present when your muscles are not moving – so when you keep a straight face. They are permanent and dermal fillers are used to treat them. Over time, constant movement will cause the dynamic lines that form to turn into static lines.